Check out the wide array of special events we having going in May! Call (254) 897-2960 now to make your reservations for any of them. The Photo Tour lets the photographer catch the dusk light, which is the best light possible for afternoon photos. The tour will go through Fossil Rim’s 1,800 acres of pastures, and the driver caters to photographers whenever possible. There are 50-plus species of animals at Fossil Rim. Some of the animals that may be photographed include white rhinos, blackbuck, red deer, gemsbok, zebras, addax, waterbuck, giraffes, sable, axis deer and dama gazelle, just to name a few. Reservations are required. Call (254) 897-2960. Camera Club members can receive a 10 percent discount. Private tours are also available for an additional fee. $65 per person. 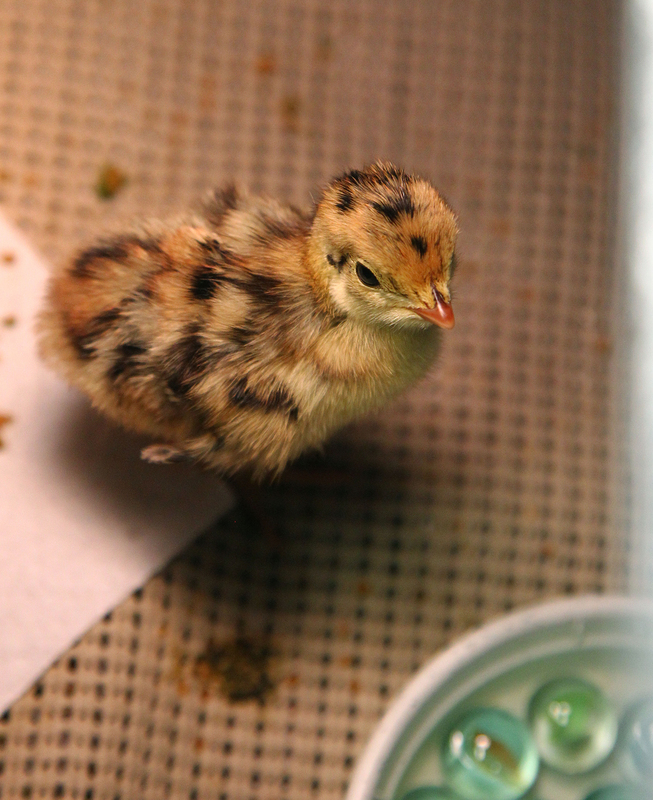 Date: May 4, 2019, 4-8 p.m. / May 18, 2019, 4-8 p.m.
Homeschool Class + Behind-the-Scenes Tour: In 1900, there were about one million Attwater’s prairie chickens on the coastal prairie of Texas and Louisiana. Today, in the wild, there are only a few hundred. Fossil Rim has a special relationship with these endangered and beautiful grouse. Come see our captive population, where and how they are raised, and meet some of the special people who are working hard to save them. For ages 7 and up. $28 per person. For questions, email homeschool@fossilrim.org. Please reserve at least three days in advance at (254) 897-2960. 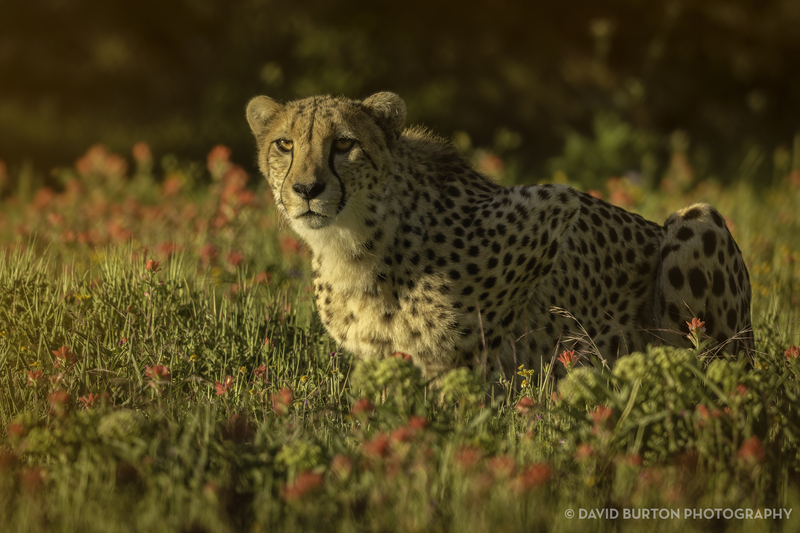 Date: May 7, 2019, 10 a.m.-3 p.m.
Come enjoy the evening beauty of Fossil Rim. Watch the stars and listen to the nighttime sounds, as we venture out into the park at dark. We’ll start with an interactive learning experience where you can discover nocturnal animal adaptations. 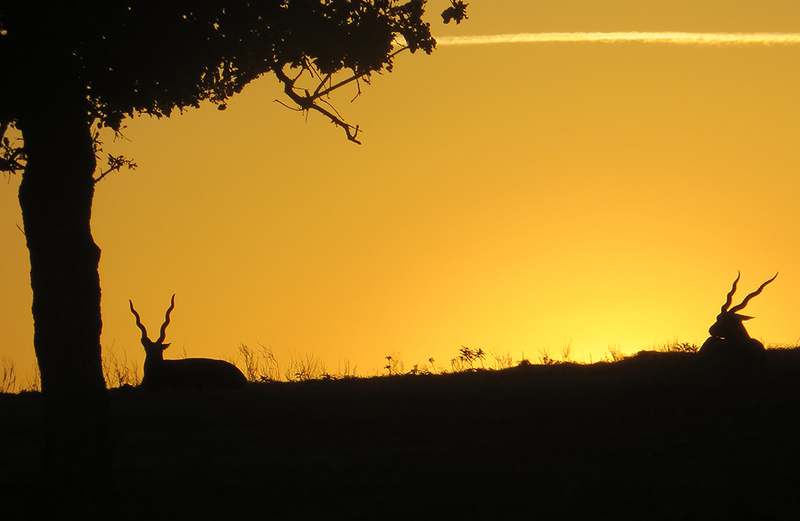 Then, using spotlights, we’ll go on a guided sunset tour focused on the nightlife of Fossil Rim. We’ll see Fossil Rim’s exotic animals and some native Texas species. We may see some animals that don’t usually come right up to vehicles during daytime Safari Tours! Afterwards, we’ll adventure on foot by taking a hike after dark. Participants will meet at the EcoCenter, located at Fossil Rim’s Overlook area. This activity, which will last approximately three hours, costs $35 per person and is limited to 16 participants. For reservations, call (254) 897-2960. Date: May 10, 2019, 7-10 p.m.
Show mom how much she means to you by spending the evening at Fossil Rim. We will start the event at the Foothills Safari Camp inside the glass-walled pavilion overlooking a scenic watering hole in our Main Pasture. Mom will enjoy a three-course dinner including beverages. Dinner will also include a complimentary glass of wine. 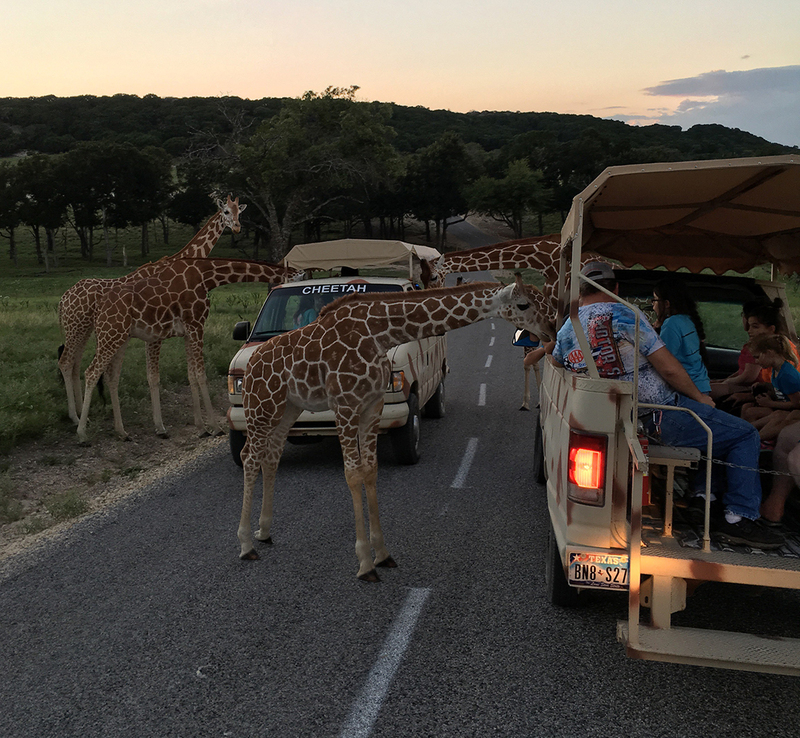 After dinner, mom and her guests will experience a sunset guided tour of Fossil Rim with nobody else in the park. A special gift for mom is included. Adults only, $95 per person. Maximum of 12 guests. For reservations, call (254) 897-2960. For guests with food allergies, please contact us at least 72 hours in advance and we can adjust our menu accordingly. Date: May 11, 2019, 5:30-9 p.m. Treat mom to a very special Mother’s Day with brunch in our glass-walled pavilion at our Foothills Safari Camp, which overlooks a scenic watering hole in our Main Pasture. She will enjoy a buffet meal and a complementary glass of champagne or a Mimosa. Each person who makes this event reservation will receive one complimentary vehicle pass valid on that day so mom and her guests can enjoy seeing the animals on our Gosdin Scenic Drive. $30 per adult and $15 per child (age 7 and under). Maximum of 30 people. For reservations, call (254) 897-2960. For guests with food allergies, please contact us at least 72 hours in advance and we can adjust our menu accordingly. Vehicle pass is valid for guest vehicle and only for party that includes person who reserved event. Date: May 12, 2019, 11 a.m.-1 p.m.
Homeschool Class + Behind-the-Scenes Tour: The relationship between man and wolf has been a rocky one, and you will learn how that interaction has evolved over the years. 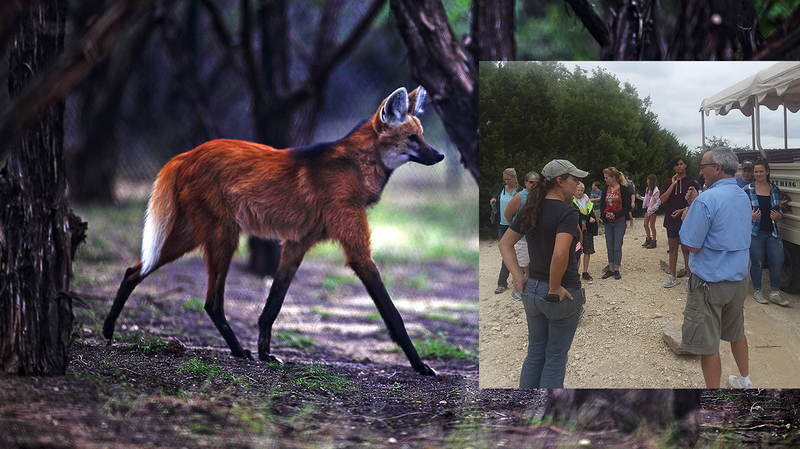 Fossil Rim has Mexican gray wolves, American red wolves and maned wolves. Discover the habits and history of these amazing animals and enjoy the unique opportunity of viewing our resident wolves – possibly all species! This event is for homeschoolers ages seven and up. Includes a nature hike. $28 per person. For questions, email homeschool@fossilrim.org. Please reserve at least three days in advance at (254) 897-2960. Date: May 13, 2019, 10 a.m.-3 p.m.
Hey Girl Scouts! Are you ready for a walk on the wild side? Who wouldn’t want to spend an exciting day getting up close and personal with exotic animals and earn two badges in the process? 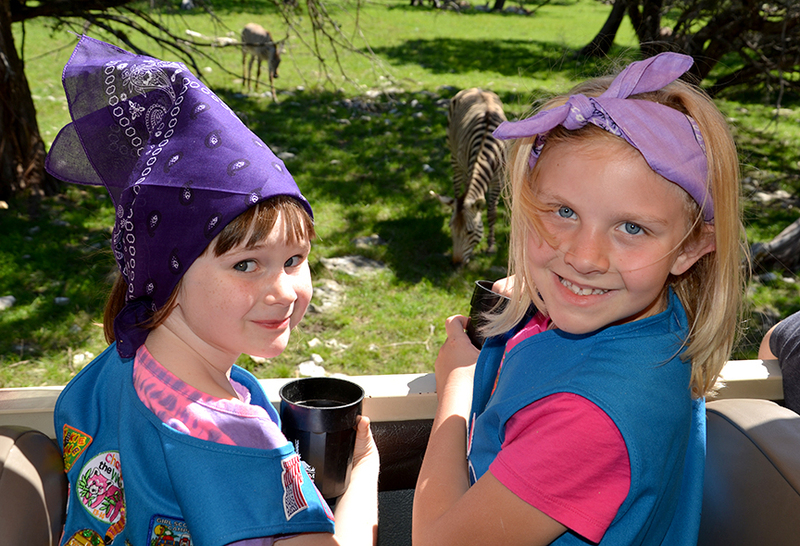 Here’s how it works: Fossil Rim Wildlife Center in Glen Rose will have stations set up at different locations around our park with activities for the Girl Scouts. You will complete the activities, get your card stamped and earn your badges – it’s that simple! The activities will include a guided tour of the park, eco-games, arts and crafts and a nature hike. The cost includes all activities and a Badgefest 2019 patch – badges not provided. Bring plenty of water, sunscreen, bug spray and a sack lunch. Also, don’t forget to wear comfortable clothes and walking shoes. Space is limited, so make your reservations early! There will be limited parking, so please carpool when possible. Adults pay full registration price. No tagalongs please. To reserve a spot, call (254) 897-2960. $39 per person. 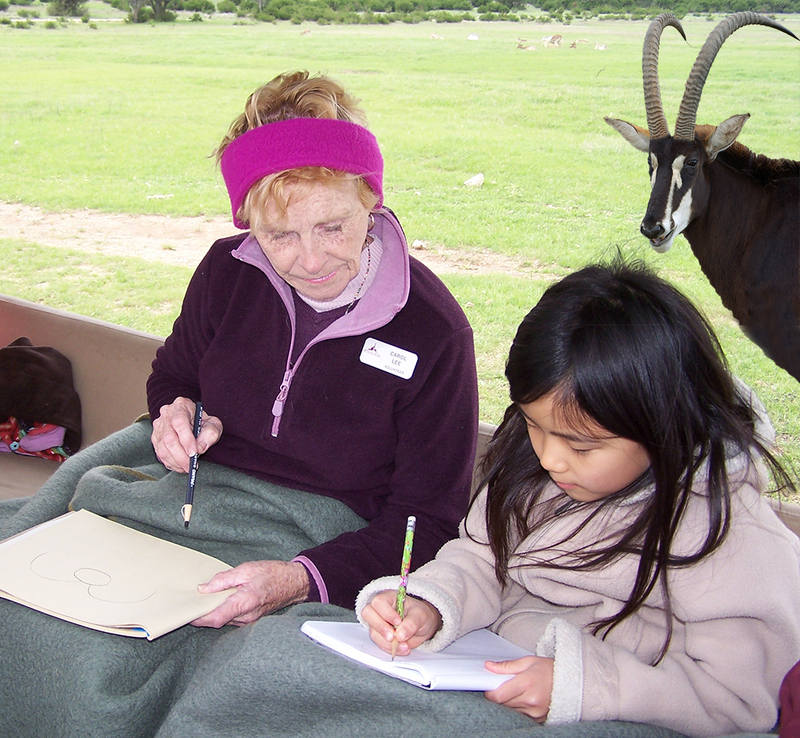 Date: May 19, 2019, 8:30 a.m.-4 p.m.
Homeschool Workshop + Guided Tour: Students will have fun as they learn and practice four different journaling techniques in our beautiful setting. We will be back and forth between “the classroom” and “the living classroom” of nature. Students will learn some basic art sketch techniques to enhance their journaling experience, and then enjoy a tour with stops at selected sites to sketch and journal. $27 per person. For questions, email homeschool@fossilrim.org. Please reserve at least three days in advance at (254) 897-2960. Date: May 20, 2019, 10 a.m.-4 p.m.
Join us for this exclusive tour and dinner. 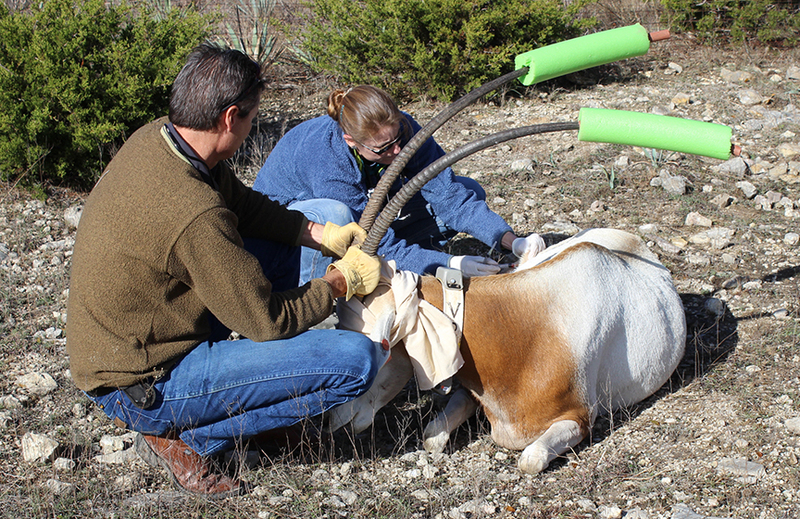 Ride along with our expert animal care specialist on this behind-the-scenes tour. The excursion will take you through Fossil Rim where you’ll have a chance to view our exotic animals in their free-roaming environment. You’ll go into our Intensive Management Area (IMA) and visit our maned wolves, Mexican gray wolves, cheetahs, red wolves, black rhinos, black-footed cats, and Attwater’s prairie chickens. After your tour, you’ll head to our Foothills Safari Camp to enjoy a multi-course dinner, dessert and complimentary glass of wine in our glass-walled pavilion that overlooks a scenic watering hole in our Main Pasture. The tour, which has a limit of 12 guests, will begin at 3 p.m. and dinner will follow at 5:30 p.m. $150 per person, for adults only. For reservations, call (254) 897-2960. Date: May 25, 2019, 3-7 p.m.